HydroClenz™ is the safe and effective way to inhibit the growth of Legionella and other harmful bacteria in your safety shower or tank fed eye/face wash systems. water systems. They also prevent the build-up of scale, biofilm and rust, conditions that can affect water flow, valve operation and the growth of harmful bacteria. Already used by manufacturers of safety showers, the HydroClenz cartridges can protect stored water systems that comply with the minimum temperature requirements of ANSI Z 358.1 and EN 15154. Simple to install and easy to use, HydroClenz cartridges are non-chemical, non-powered, environmentally friendly and cost effective. 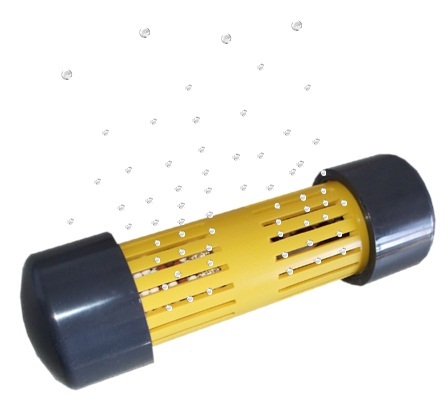 Manufactured for stored water systems, the HydroClenz 2000 series of cartridges are simply immersed in the tank and the process protection starts immediately. 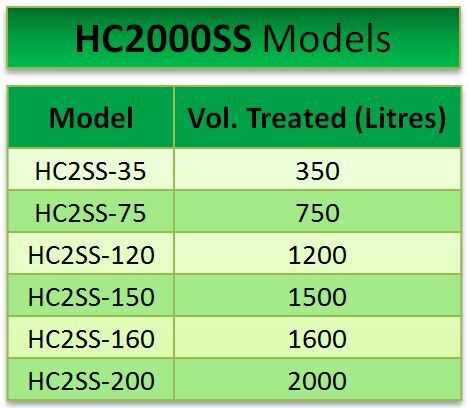 The HydroClenz 2000™ (SS) controls bacterial infestation and the build up of biofilm, scale and corrosion for up to 3 years. Apart from regular monitoring of the stored water system to ensure compliance with current legislation and the intermittent removal of sediment from the product, no further maintenance is needed. water storage systems, from 350 to 2000 litres, for use in safety shower or tank fed eye/face wash systems. accredited laboratories. The technology complies with BS6920 Part 1, and meets the standards of the Water Byelaws Scheme. It also complies with the COSSH Regulations and Occupational Exposure Limits.